0109_met_accident1: Singles: News-Editorial: Award-Winning Evansville Photographer: Molly Bartels specializing in editorial, wedding and art photography in Evansville, Indiana. 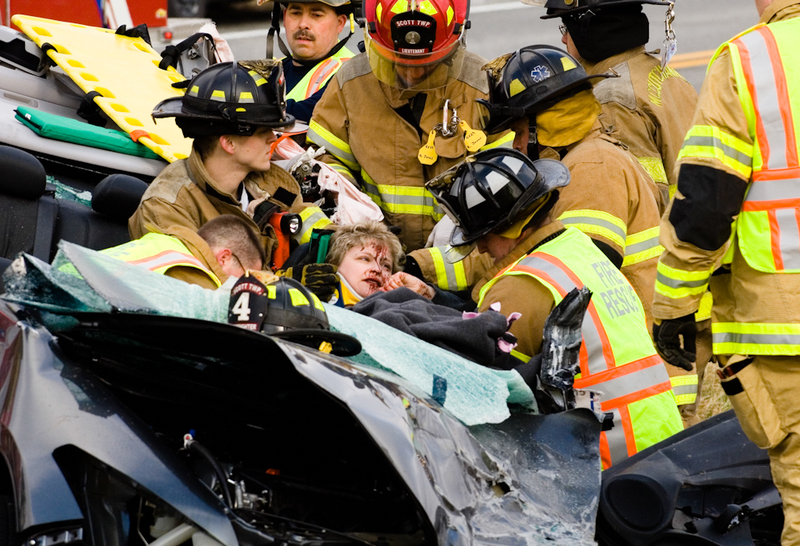 Firefighters work to extricate Janet Sipes, center, from her Honda Accord after a head-on collision with a Ford Ranger on Indiana 57 in northeastern Vanderburgh County on Thursday, January 8, 2009. Both Sipes and Matthew Ackerman, the driver of the Ford Ranger, were taken by ambulance to St. Mary's Medical Center for treatment.